Education: M.S., Mathematics Education, Radford University; Kappa Delta Pi, Phi Kappa Phi, Departmental Outstanding Student. B.S., Physics, Roanoke College; Sigma Pi Sigma, Omicron Delta Kappa. Hobbies/Interests: Alex is a published education researcher and college-level curriculum consultant. He enjoys spending time with his "better half" and their two dogs; much of their free time is spent on restoring their old home. Other hobbies include reading, writing, hiking, kayaking, drinking coffee, old houses, searching for answers (42), and exercising. 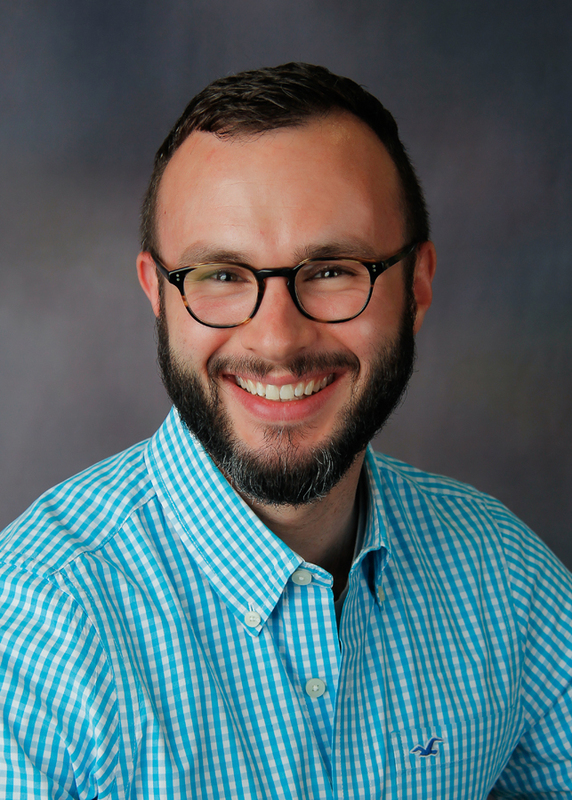 Outside of academics, Alex leads an active spiritual life as an Episcopalian. He is involved in various ministries including Eucharistic visitation, pastoral care, Bible study, and various roles in worship; he also taught Sunday School for several years.